This Girl Can – Victoria is about helping women get active – no matter how well they do it, how they look or even how red their face gets. Research has told us that women can have a fear of judgement that stops them from feeling comfortable with physical activity. 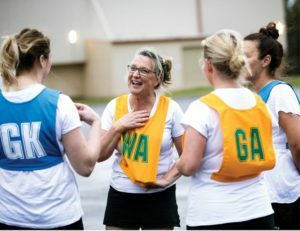 This Girl Can – Victoria campaign addresses this by showing a range of everyday women being physically activity regardless of age, level of ability, background, body shape and size. A new report from VicHealth has shown teenagers are struggling to do even an hour of physical activity a day and are almost five times more likely to be on their smartphone or tablet than being active. The report highlights 92 percent of teenagers aren’t meeting the Australian Physical Activity Guidelines of an hour of physical activity every day. In contrast the average teenager spends more than three hours a day on screens like smart phones and ipads. In response the health promotion body has announced up to $6million in new funding over three years to get teens moving as part of its Growing Participation in Sport program. VicHealth CEO Jerril Rechter said teenagers often dropped out of sport because it stops being fun and starts being competitive. “Playing sport is a really fun and social way for our kids to keep active, but we know that sport participation halves when they hit their teenage years.